JFH News: Yahoo Music Premieres Dee-1's New Video "I'm Not Perfect"
New York, NY (August 24, 2015) - Critically acclaimed hip-hop artist Dee-1, releases his new video, "I'm Not Perfect," exclusively on Yahoo Music today. Directed by newcomer, Matt Mars and produced by Dee-1, the bold song and video symbolizes the rapper's decision to make his relationship with Christ known. Check out the video now by visiting http://smarturl.it/ImNotPerfectPremiere. 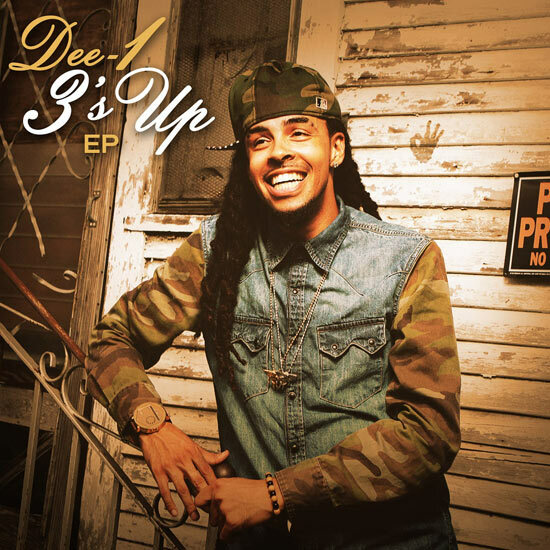 "There was a pivotal shift in my Christian walk around the time I wrote 'I'm Not Perfect'," said rapper Dee-1. "I made the bold decision to declare my faith…I wanted to please God and not man. In the video we use strong visuals to make this message clear." "I'm Not Perfect" is a single from 3's Up, the first major-label release from the New Orleans born and raised rapper, who has been called one of the most important artists in hip-hop music today. The EP, which features the singles "Against Us" and "Show On The Road" was released on February 17, 2015.